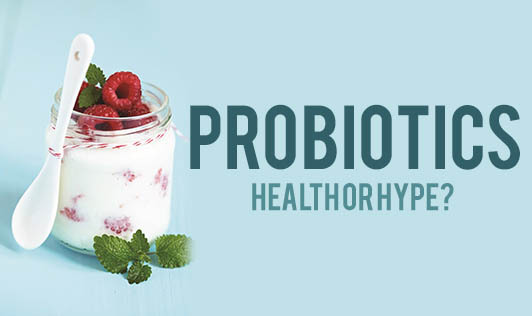 Probiotics - Health Or Hype? Last week I attended a scientific program on probiotics and health, organised for the dietitians of Bangalore. A lot of facts and opinions were presented by 2 gastroenterologists, a nutritionist and a clinical researcher. At the end of the session, I concluded that decades ago our grandmothers already knew the importance of probiotics in our diet! Probiotics are nothing but gut-friendly bacteria which are beneficial for our health. Human gut has about 400 to 500 types of microbes and each person has a different mix of friendly bacteria. Probiotics help in building immunity, absorbing nutrients and maintaining gut health. They have also been studied in controlling inflammation, chronic fatigue syndrome, and so on. Probiotics are naturally present in curd and buttermilk. Indian meals normally contain either curd rice, buttermilk, lassi or raita; so good for us because we are used to this traditional food habit. But of late, there's been a lot of publicity given to probiotics either as a supplement or as an additive in favorite foods. Does a healthy person, who can include curd in his daily diet, need probiotic supplements? In my opinion, NO! As of now we do not know the long term effects or benefits of consuming probiotic supplements by healthy persons. However, these supplements may be useful in hospitalised patients with gut problems who cannot eat normal food like the way we do. Western population does not eat curd in the meal; therefore probiotic supplements and yogurt became a rage. We don't need to go that far. Let's celebrate our Indian probiotic tradition by drinking a glass of buttermilk or lassi regularly......Cheers!